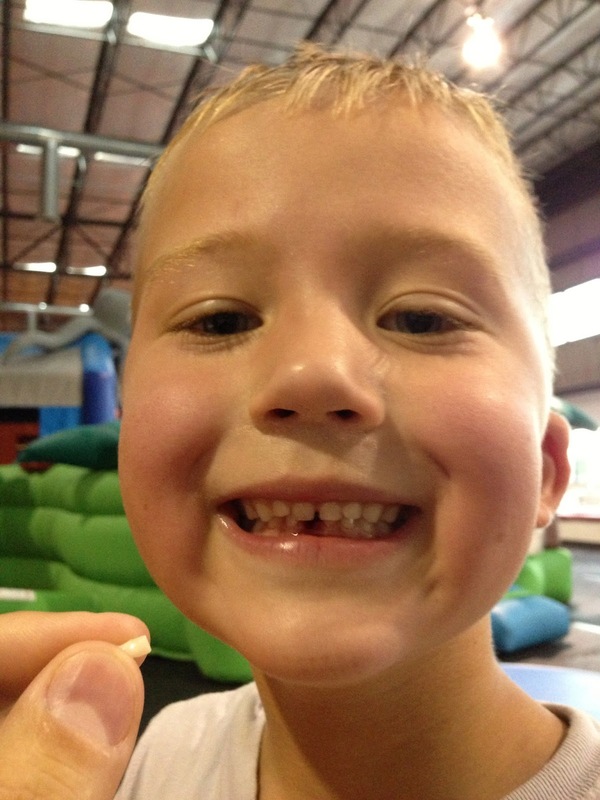 Guess who lost their first tooth tonight while at a bouncy house?!?! Zach has had this wiggly tooth for a few weeks now. 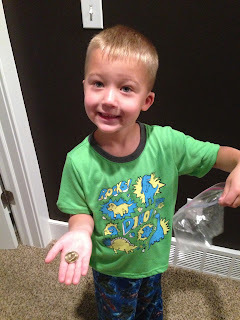 We had our 6 month dentist check up yesterday and he gave us the thumbs up that this tooth was ready at any time to come out....we just didn't know it would happen the very next day! Zach was even more excited the next morning when he realized what the tooth fairy brought him - a gold dollar coin!